Nursing home abuse happens all too often in this country and is by far one of the most inexcusable crimes. Abusing those who rely on others to care for them requires justice. Often the victims of nursing home abuse are too afraid to report it – even to their loved ones. The injuries sustained could become life-threatening and could do permanent damage to the victim. If your loved one has been injured or you suspect nursing home abuse, contact the local police department right away. Having enough staff on shift to provide the necessary standard level of care to all patients in-house. Creating a care plan that is customized to each patient, and not using one plan for all patients. Preventing further deterioration of individuals’ health, including their ability to bathe, groom, transfer themselves or even get dressed. Ensuring that every visitor is given frequent testing for vision and hearing issues to help them maintain their senses. Providing treatment for any conditions that are present as well as future conditions that may be diagnosed. Preventing the development of bedsores. Ensuring clients receive supervision so that accidents or injuries can be prevented. Ensuring medication errors do not occur. Creating an environment that is safe and promotes dignity. Calling essential emergency personnel when necessary and having a physician supervise the facility at least 24 hours a day. 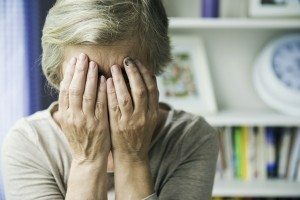 Recognizing the Signs of Nursing Home Abuse – It Is Not As Easy As You Think! While nursing homes must remain compliant with state and federal laws and be subjected to frequent inspections, they can still abuse a patient without anyone noticing. That is because those who choose to abuse in nursing homes know how to hide it from inspectors and even loved ones. If you suspect nursing home abuse, contact an attorney who understands these types of lawsuits and has experience with filing these types of suits. The team at Hardesty, Tyde, Green & Ashton P.A. can help you fight for the rights of your abused loved one. Contact the nursing home abuse attorneys at Hardesty, Tyde, Green & Ashton P.A. in now for a free case evaluation. We will determine if you having a valid nursing home abuse case and can help seek justice. Contact us now to get started.